Tell us your story. How did JO&JOE get started? JO&JOE was born from a collaborative, innovation process, facilitated by Accorhotels. 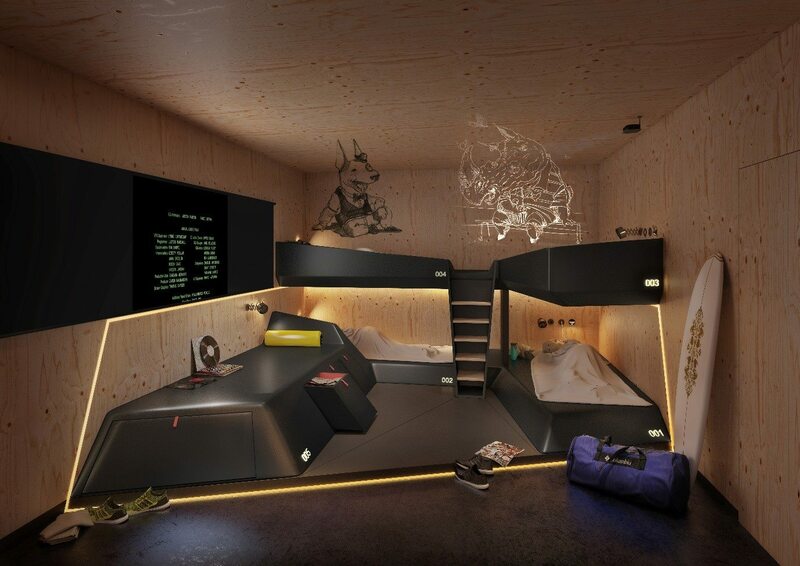 Co-created with our future clientele, JO&JOE is the result of AccorHotel’s Marketing Innovation Lab: an autonomous team working as a “commando unit”, with the agility and flexibility of a start-up company and the strength and experience of a world-renowned chain. Accor team members from Europe, Asia, Americas as well as international students, designers, psychologists, developers, hotel professionals, travellers and influencers all worked on the project. In short, a place you can call home away from home, open to locals and travellers alike. A cool, affordable and caring community with local flavours and design, filled with ever surprising animations and talents. Take a look at our first property and our upcoming projects. What is your favourite success story from your Brand? We opened our first property in Hossegor, a surfing destination in the South-West of France last June. A team of cool, caring and blended personalities joined us for this adventure. They contributed to engaging with the local community, creating unforgettable experiences for locals and travellers alike. Take a sneak peak here. We are planning to open 50 properties in the coming years in all your favourite cities. JO&JOE Paris will open in November 18, followed by Budapest, London, Rio and another property in Paris. Which trends do you see in educational and active youth travel? Young travellers tend to be very flexible in their choice of accommodation. During the same trip they have no issues with moving from a hostel to a hotel or to a private rental. They can also get bored very easily. JO&JOE provides an answer to this problem by offering a vibrant living space, a home that is open to the external world and designed to meet the expectations of Millennials and all those who value sharing, spontaneity and multicultural experiences. Which challenges do you see in educational and active youth travel? A new generation is emerging, more demanding in their quest to discover, interact and share. Its members are Millennials and anyone over 35 who shares this mindset. The brand listens to, talks to and meets the expectations of all “Millennial-minded” people looking for an open, connected and fulfilling world. To adapt to the consumer habits of these travellers, we had to turn traditional codes upside-down and inside-out and come up with a distinctive living space adapted for all. What support/safety is provided for young people going to your properties? JO&JOE provides the quality, comfort and safety of a traditional hotel as well as the fun environment you can find in a hostel. At JO&JOE international travellers and locals will interact not only with staff members but a real community that provides the pulse of the place, local tips and a caring environment for everybody to feel like they are part of a team. What was your motivation to join WYSE Travel Confederation? JO&JOE has joined forces with the WYSE Travel Confederation to get access to its expertise in the youth travel market. Our mission is to constantly adapt our services to the needs and expectations of this audience and create new and innovative experiences in line with these aforementioned expectations. Being part of this organisation is also being a member of a team working to achieve the same goal: increase international understanding through travel and educational opportunities for students and youth. JO&JOE (Accor) creates a new kind of hospitality! A home open to neighbours and travellers alike. A cool, affordable and caring house with shared and private accommodation, filled with breath-taking design, events and talents. A family atmosphere where you feel safe to meet and mix, clink glasses, have a bite to eat together, cook, chat, laugh, unwind, dream, work, love, do yoga, play the guitar, explore the city… and sleep! An abode where you will simply live life to the fullest. Created in Hossegor on 2 June, 2017, the extended household expands to be in Paris in November with aims to grow to 50 open houses in your favourite destinations, in the coming years. If you’d like to join WYSE Travel Confederation and benefit from new connections, free access to industry research, informative webinar sessions, discounts on industry events and brand exposure within the youth and student travel industry, click below to view our membership options and find out more.